MR. NOFACE'S SHRUG LIFE: Black Is What The Cops Recognize As A Threat! Black Is What The Cops Recognize As A Threat! What does it mean to be black? Recently, the fellow UBJ sought to stir discussion on this very question on his blog. My response to this question was that black was not a color but a state of mind (or rather a state of being) that people of my “race” are constantly in (especially in America). I believe Dubois called it the double consciousness. This state of mind is a result of how one views himself combined with how others viewed him in a mixture which can seem like a poisonous tonic at times. I have found that in America, how one is viewed tends to hold more weight than how that person views himself. This is especially true when we are talking about how those in the dominant culture are wont to classify those in the minority culture. A prime example of this is racial profiling perpetrated by the police against the black man. If you are ever wondering about your racial make up just run afoul of some cops with racist tendencies. You’ll be sure to find out definitively. Case in point: This article shows that yet again in this “post-racial” America, it is the police that will let you know if you’re black or not. No matter what level of education and notoriety you have, if you are a black man in a well to do neighborhood or in a well to do car (or in both), you are likely to get harassed by authorities because you fit “the description”. 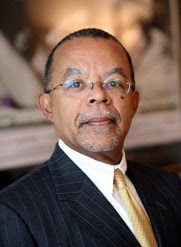 If Harvard Professor Henry Louis Gates, Jr. can be seen and treated like a potential threat, Pookie from across the way has NO CHANCE! I WAS...BOOOOOOOOORN IN THE U-S-AAAAAAAAAAAAA!